I put a lot of effort into pricing my tax services this year since this is my first full tax season after 8 years away from private practice. The advice I received on this topic is that a sole practitioner CPA should not base rates based on a large firm like H&R Block. (H&R Block is the nation’s largest tax return preparer, handling one out of every six returns filed in this country). My wife felt strongly that I should keep the price of a simple return under $200. I realized that my primary goal this year should be rebuilding the number of clients rather than stressing over appropriateness of the price. In the end, however, I did set my rates deliberately just below H&R Block with a basic rate of $195 because I do not want those individuals who I am asking to help recruit new clients to get any price pressure feedback. It is simpler for them to simply say “less than H&R Block”. 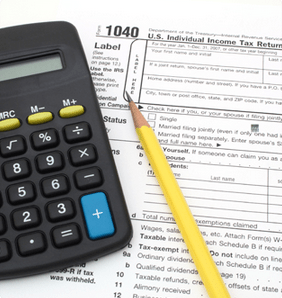 I will offer the free and low-cost self-prepared tax services through 1040.com. This allows taxpayers to prepare their own tax return and allows me help if requested. This may become the most popular method in the future for simple tax returns but few professional tax preparers seem to embrace it. Those who specialize in tax planning, as I do, see this as a way to spend more time on higher value services like planning to reduce taxes. My resulting tax service rates are published at http://www.tonynovak.com/taxes.html and I will soon transfer these rates into tax software that accounts for pricing based on each form prepared.